8 Week Online Coaching Series - Complimentary! Looking for a fresh start? Want to organize your life but need some guidance? Do you just wish you had a plan to follow towards your goals? Are you searching for something more in your life, but not sure what it is? Julie has developed this 8-week video series that you access online that takes you through weekly activities to get you on track with a vision and goals and focuses on inspiring you to live your most purposeful, inspired life. Check out the video below to hear a short intro on the coaching series. Weekly videos range from 10-30 minutes a week. Would you like, private, personal, one-on-one guidance to help you focusing on clearing out the clutter and realigning your life to move in powerful directions? Are you thinking of making a career change? Struggling to find a healthy relationship? Still searching for your purpose in life? In this 3-month series, Julie kicks off with a 90-minute vision session, develops a three month plan, and then follows up with 45 minute sessions every two weeks to evaluate and evolve the plan. Inbetween the meetings, you have access to Julie via email and text at point of need. This series can be done in person if in Columbus or via Skype. At conclusion, you will receive a roadmap for sustaining forward movement towards your vision and goals. 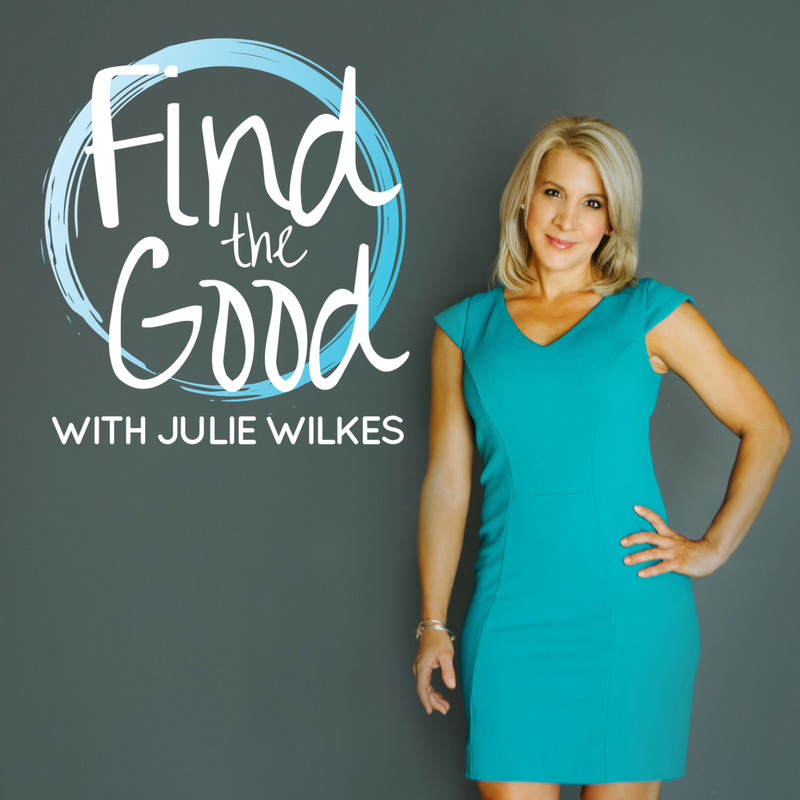 Find the Good With Julie Wilkes Weekly Podcast - Complimentary - Subscribe! Wish you had something positive to set your tone for the week every Monday morning? Looking for real-life advice that helps you to deal with chaos, challenges, failures and frustrations? Hoping to find a combination of raw truth and honesty, science and research and inspiration and story telling? Julie has developed her weekly podcast series called, 'Find the Good With Julie Wilkes' to provide a short (less than 20 mins) message each week to help set the tone and provide relevant and up-to-date tips/data around a variety of lifestyle topics. Submit topics you'd like Julie to cover or individuals you'd like Julie to interview and your suggestions may just be selected for an upcoming podcast! Coach Julie Wilkes shares a little about what you can expect in her 8 week online video series. If you are looking for inspiration, support in moving forward in your life and a new mindset or perspective - this series may be for you!